It’s difficult to try to keep up with developments in the latest round of saber rattling between the United States and North Korea. U.S. President Donald Trump and Korean “supreme leader” Kim Jong-un have repeatedly traded verbal barbs via Twitter and more formal avenues amid news of naval redeployments, massive live-fire artillery exercises, United Nations condemnations and rumors of troop movements by regional powers. The United States would have an obvious and distinct advantage over North Korea in a direct military engagement. That doesn’t mean that a war wouldn’t be a grueling and costly endeavor. North Korea’s military is dilapidated and antiquated, but it’s still one of the largest militaries in the world. 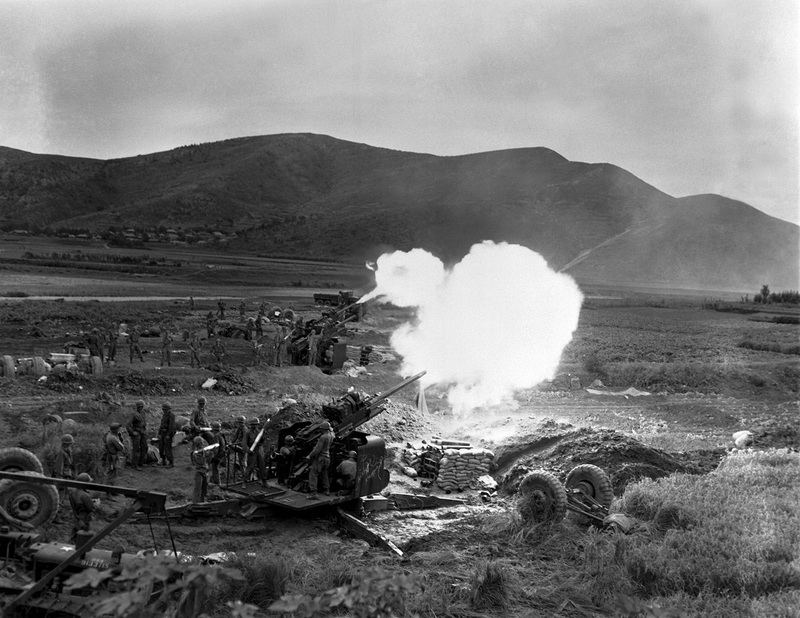 When the two countries clashed before, from 1950 to 1953, the conflict ended in a virtual draw along the 38th parallel. Of course, the hundreds of thousands of soldiers China sent to save its North Korean ally played a decisive role in that outcome, but the Korean People’s Army itself put up a formidable fight against the much more powerful United States and its allies. The KPA inflicted considerable casualties in a blitzkrieg-like assault through the south and quickly seized huge swaths of territory, compelling the United States to implement a scorched-earth policy that inflicted a tremendous death toll. On a per-capita basis, the Korean War was one of the deadliest wars in modern history, especially for the civilian population of North Korea. The scale of the devastation shocked and disgusted the American military personnel who witnessed it, including some who had fought in the most horrific battles of World War II. World War II was by far the bloodiest war in history. Estimates of the death toll range from 60 million to more than 85 million, with some suggesting that the number is actually even higher and that 50 million civilians may have perished in China alone. Even the lower estimates would account for roughly three percent of the world’s estimated population of 2.3 billion in 1940. These are staggering numbers, and the death rate during the Korean War was comparable to what occurred in the hardest hit countries of World War II. Several factors contributed to the high casualty ratios. The Korean Peninsula is densely populated. Rapidly shifting front lines often left civilians trapped in combat zones. Both sides committed numerous massacres and carried out mass executions of political prisoners. 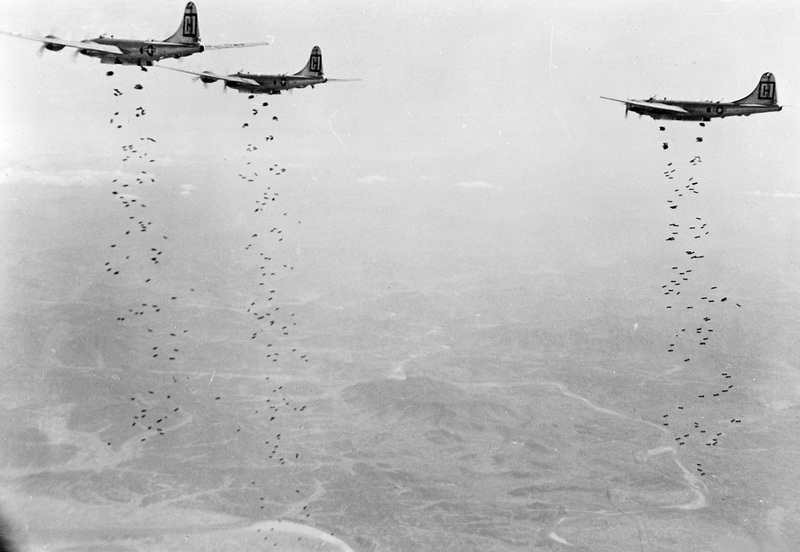 Modern aircraft carried out a vast bombing campaign, dropping massive loads of napalm along with standard bombs. In fact, by the end of the war, the United States and its allies had dropped more bombs on the Korean Peninsula, the overwhelming majority of them on North Korea, than they had in the entire Pacific Theater of World War II. “The physical destruction and loss of life on both sides was almost beyond comprehension, but the North suffered the greater damage, due to American saturation bombing and the scorched-earth policy of the retreating U.N. forces,” historian Charles K. Armstrong wrote in an essay for the Asia-Pacific Journal. As Armstrong explains, this resulted in almost unparalleled devastation. 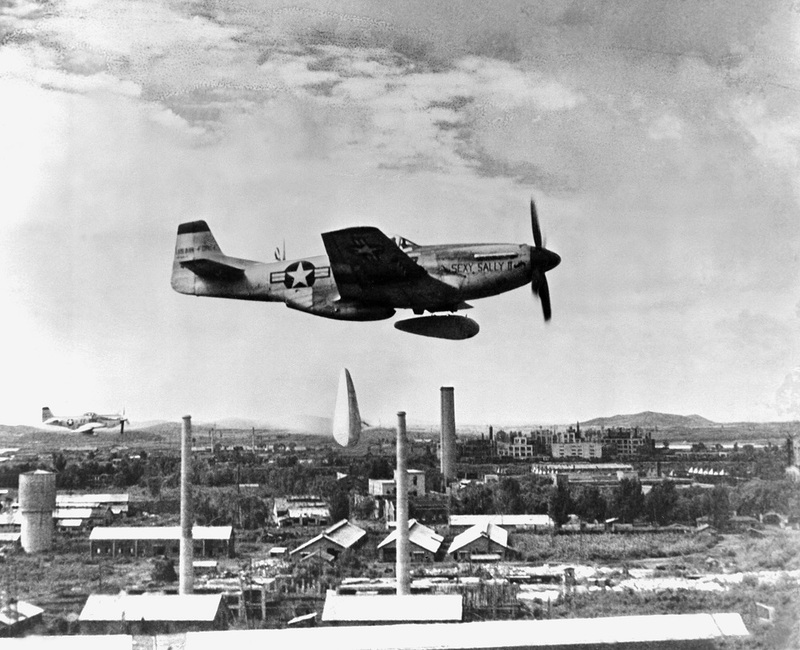 U.S. officers and soldiers who surveyed the results of the air campaign in Korea were both awestruck and revolted. In his controversial book Soldier, Lt. Col. Anthony Herbert collects reflections on the carnage from America’s most prominent generals of the day. LeMay was no newcomer to the horrors of war. He led several B-17 Flying Fortress bombing raids deep into German territory before going on to command the strategic bombing campaign against Japan, including the firebombings of Tokyo. Another decorated veteran of World War II, Air Force four-star Gen. Emmett E. “Rosie” O’Donnell, Jr., who later served as Commander in Chief of Pacific Air Forces from 1959 to 1963, collaborated LeMay’s and Armstrong’s assessments. 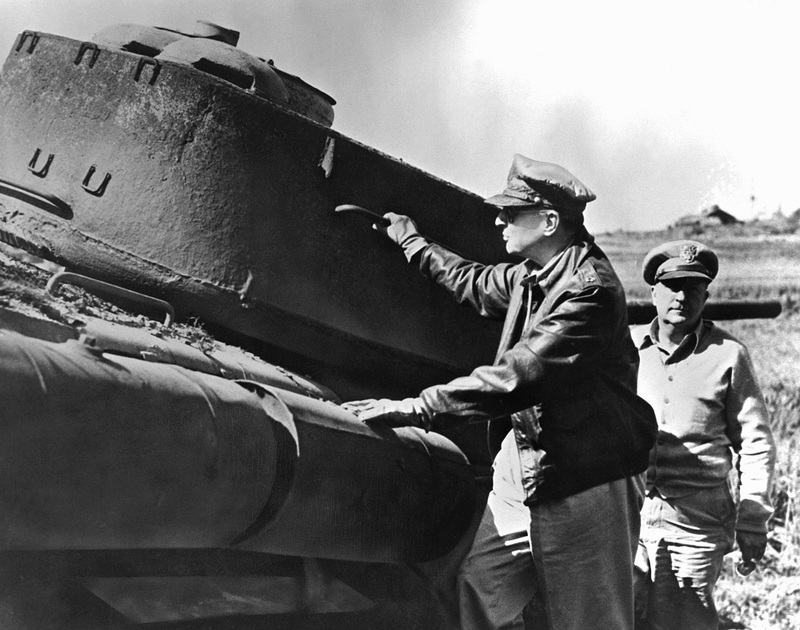 Perhaps the most scathing account of the destruction came from Gen. Douglas MacArthur. MacArthur had become a national hero for his exploits as commander of the U.S. Army Forces in the Far East during the Philippines campaign of World War II, and as Supreme Commander for the Allied Powers during the occupation of Japan before he was named Commander-in-Chief of the United Nations Command at the onset of the Korean Conflict. “I shrink—I shrink with a horror that I cannot express in words—at this continuous slaughter of men in Korea,” MacArthur lamented during the hearings. Neither North Korea nor the United States has ever been able to truly come to terms with the havoc wrought during the conflict. In North Korea, the war is often referred to as the Victorious Fatherland Liberation War, with the Korean People’s Army being cast as the valiant protector of the virtuous Korean people in the face of American imperialism. 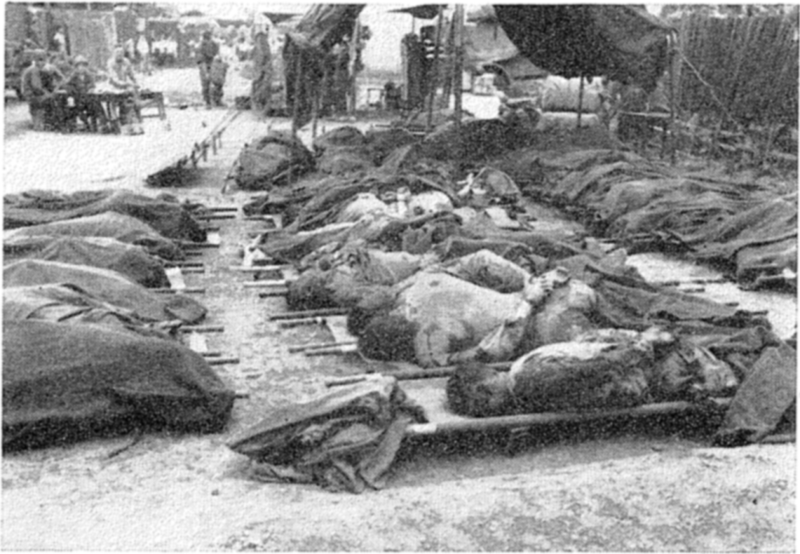 North Korean casualties and atrocities—as well as the U.S. strategic bombing campaign—are downplayed or ignored while victories are often exaggerated. This revisionist history falls in line with the “Great Leader” cult of personality promulgated by Kim Il-sung and his heirs who have led the country since the end of the war. In the United States, the war is somewhat lost in the shadows of World War II and the Vietnam War. It came as Americans were still recovering from the former and was, by comparison, a much smaller and shorter conflict. It lacked the media coverage and cultural impact of the prolonged war in Vietnam. Its legacy was also marred by a preponderance of atrocities—some of them carried out by the United States and its allies—and what in the minds of many Americans ultimately amounted to a defeat by a smaller and weaker enemy. It wasn’t until 1999 that the United States acknowledged—after a lengthy investigation by the Associated Press—that a 1950 letter from U.S. Ambassador John J. Muccio authorized commanders in the field to adopt a policy of openly massacring civilians. The policy led to massacres in No Gun Ri and Pohang, among others, in which U.S. soldiers and seamen knowingly fired on civilians. Refugees fleeing North Korea were particularly susceptible to attacks from the U.S. and South Korean militaries under the pretense that North Korean soldiers had infiltrated their numbers in order to orchestrate sneak strikes. Hundreds at a time were killed, many of them women and children. ”We just annihilated them,” Norman Tinkler, a former machine gunner, later told the Associated Press of the massacre at No Gun Ri. Edward L. Daily, another soldier present at the No Gun Ri, was still haunted by what he witnessed there decades later. Daily later earned a battlefield commission for his service in Korea. A South Korean government commission investigating massacres and mass executions of political prisoners by the militaries of both sides claims to have documented “hundreds of sets of remains” from massacres and estimates that up to 100,000 people died in such incidents. Any new conflict in Korea is likely to be just as vicious and deadly as the last, if not even more so. The destructive potential of the weaponry possessed by both sides has increased exponentially in the intervening decades. The United States’ nuclear arsenal has greatly expanded, and North Korea has developed its own limited nuclear capabilities. Even without the use of nuclear weapons, the traditional weapons that would be used are far more powerful today than they were 75 years ago. The GBU-43/B Massive Ordnance Air Blast bomb the United States used in Afghanistan for the first time in April 2017 is the most powerful non-nuclear bomb ever deployed. Upon impact, the 30-foot long, 22,000 pound, GPS-guided bomb emits a mushroom cloud that can be seen for 20 miles. It boasts a blast radius of one square mile, demolishing everything within that range. The Air Force currently has only around 15 MOABs, and they are not capable of penetrating the numerous hardened underground tunnels, bunkers and bases the North Koreans have built. To address that problem, the Pentagon has developed a special bomb designed specifically for underground facilities of the kind built by North Korea and Iran. The 15-ton Massive Ordnance Penetrator can supposedly blast through 200 feet of concrete to take out the most hardened subterranean lair. North Korea’s arsenal isn’t anywhere nearly as advanced as that of the United States, but it is massive. Some analysts have suggested that the regime’s huge stockpile of traditional artillery and rockets would “flatten Seoul in the first half-hour of any confrontation.” That’s probably giving North Korea far too much credit, but its artillery and rocket stockpiles could definitely inflict serious casualties and structural damage to Seoul and its 10 million inhabitants. Likewise, the bases housing the 29,000 U.S. military personnel stationed in South Korea are also within range of North Korea’s arsenal. History contains a warning—another war would be unpredictable, chaotic and exceedingly brutal.